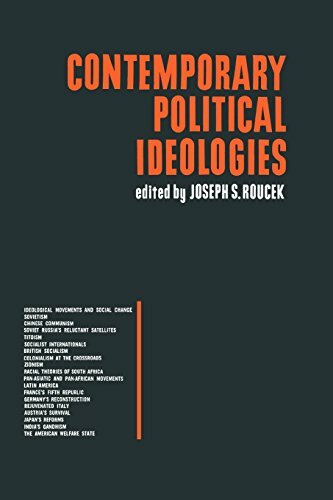 Amazon.com description: Product Description: Joseph S. Roucek brings together theories from the major political movements of the twentieth century and guides readers through the waves of political change with approaches to Marxism, Communism, Colonialism, the Welfare State, and more. Joseph S. Roucek was a political theorist and author. He wrote or co-authored several books on education and politics including The Czechs and Slovaks in America, Behind the Iron Curtain, AmericaÃ¢ÂÂs Ethnic Politics, and Slow Learner.